When the United States team made culinary history at the 2015 Bocuse d’Or with its second place win—the first time an American team reached the podium of the international competition – both the food and the serving pieces contributed to the victory. 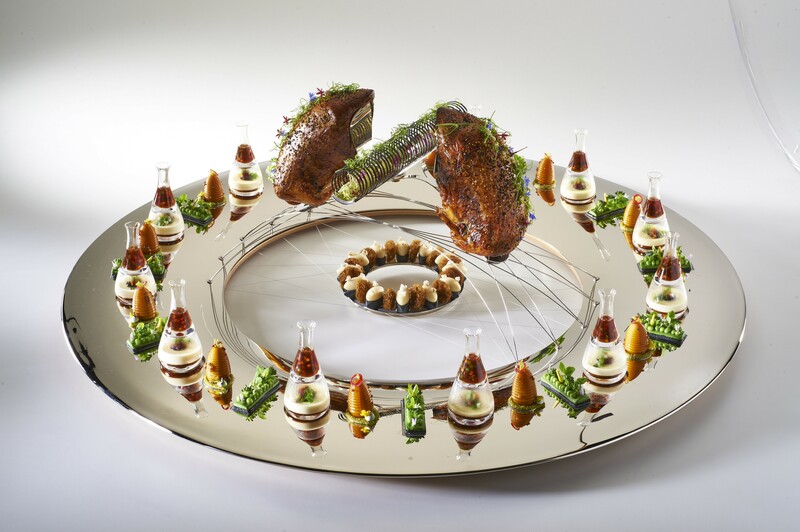 Central to the team’s success was the show-stopping meat platter prepared by USA team leader Philip Tessier, displayed on a custom platter created by Martin Kastner, who through his Crucial Detail company famously designs serving pieces for Grant Achatz’s Alinea and Next restaurants. Click here to continue reading my story for Plate about the collaboration between Kastner and Tessier.